Stocks were volatile & the Dow lost nearly $2 Trillion in October. Tech stocks lead the decline with the FANGs down $120 Billion & Amazon down 20% for the year. 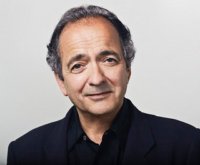 Gerald Celente joins David Knight and says interest rates are the key to growth or recession. What will Trump & the Fed do after the election?